Quickload 300 – Quickthree Solutions Inc. 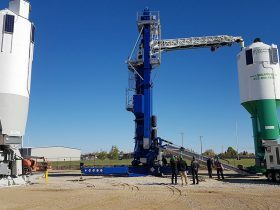 The Quickload 300 being raised into position. Quickthree is setting the bar higher once again. 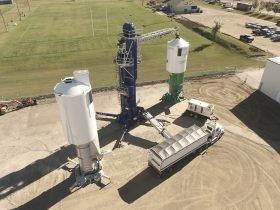 Quickthree’s new Quickload 300 is a 5 tonne/5.5 ton per minute self-contained mobile/semi-permanent transloading system that supports Quickstand Silos and site layouts of over 9,000,000 lbs. 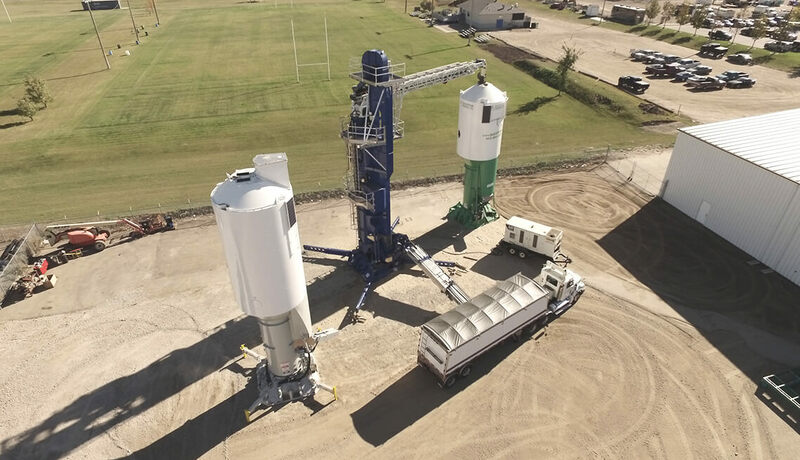 Quickload boasts a truck unloading conveyor, bucket elevator and telescoping horizontal televeyor with vacuum dust collection, all on one Quickstand Trailer Load! 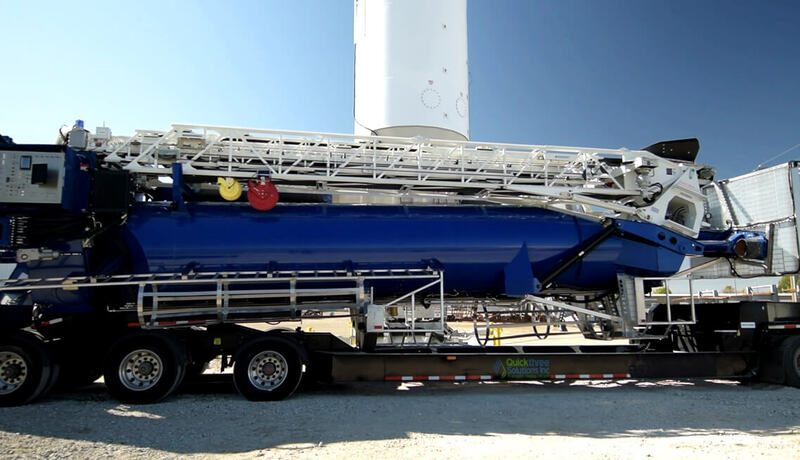 The Quickload 300 utilizes the same Quickstand Trailer for deployment/mobilization in an astonishing 20 minutes. 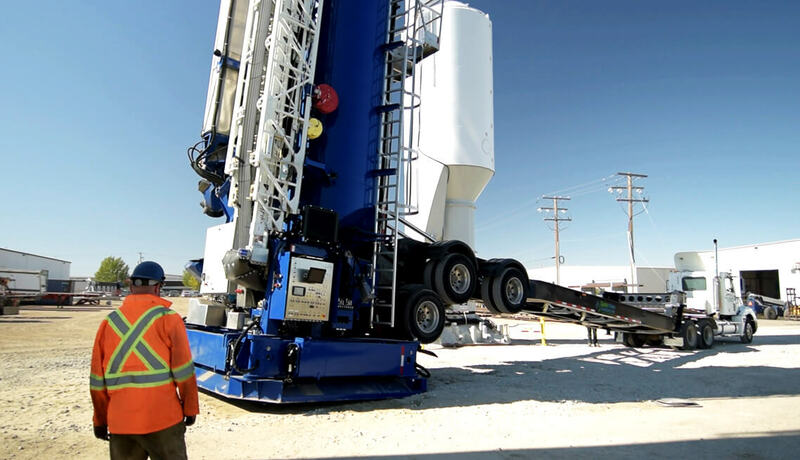 Quickload is packed with performance enhancing features and is designed for purpose to lower total operating costs, minimize environmental impact and provide a safe work place. 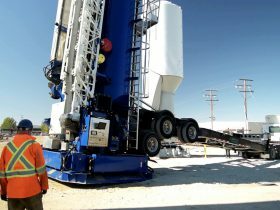 The Quickload 300 is the newest product from Quickthree Solutions to Lower Your Total Cost of Operations. From the fast and easy trasport and setup with the Quickstand Trailer that you’ve come to expect from the Quickstand System, to increasing your onsite unloading capacity, the Quickload 300 continues our commitment to keeping money where it belongs: with you. 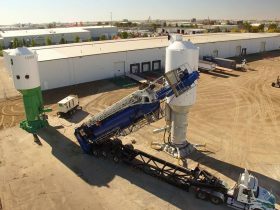 Well laid out design and instructions assist the operator in performing the required pre-shift inspections and scheduled maintenance. 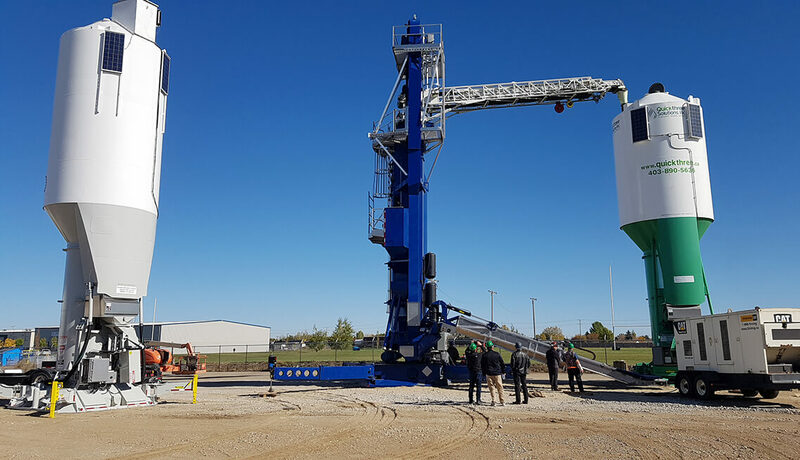 Purpose built in the tradition of the Quickstand Proppant System, the Quickload 300 has been designed in every way to promote environmental responsibility of your operations. 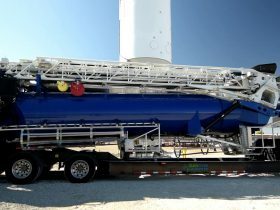 Given the heightened perception of the environmental impact of the oil and gas industry, every action you can take to enhance your environmental responsibility is a good move, and the Quickload 300 delivers. Employee safety is as important now as it’s ever been. You’ve spent a lot of capital on equipment and training, so losing even one hour is costly. 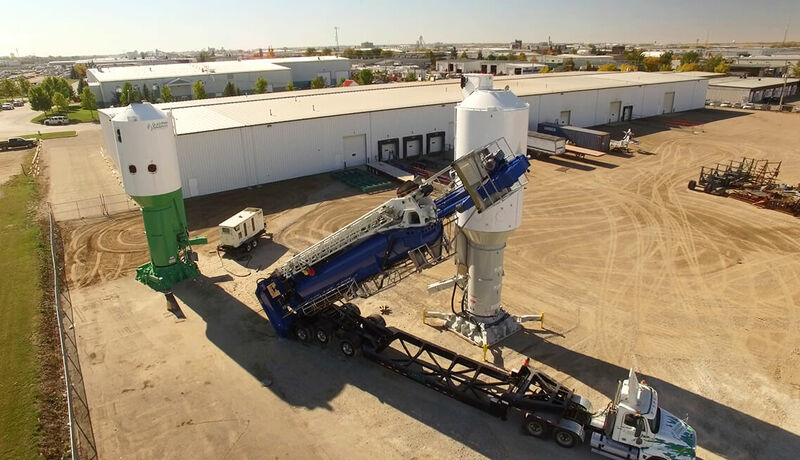 Reach out today to find out how Quickthree can provide a solution that Lowers YOUR Total Cost of Operations, Improves your Environmental Responsibility and Improves Worker Safety. Quickthree Solutions has a long history of leading when it comes to inventing and bringing innovative solutions to the market. We are continually developing new products to reach a multitude of industries. Copyright © 2018 Quickthree Solutions Inc.